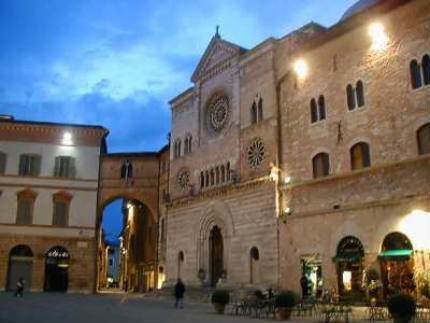 Foligno is located on a place in the centre of Umbria on the valley of the Topino river. The main square is Piazza della Repubblica, with a neoclassical town hall, next to it there are the Palazzo Orfini and the Palazzo del Podestà. Foligno has a lot of museums: Museum of Contemporary art, Diocesan Museum, Museum of Printing, and th City Museum. The last one is Palazzo Trinci which is the most important. 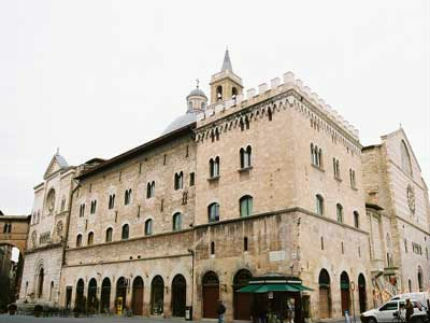 Palazzo Trinci houses 3 exhibitions: the picture gallery, the Archeological museum and the Multimedia museum with the history of the “Quintana”. 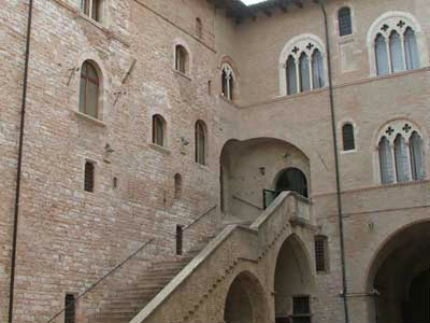 Palazzo Trinci has a gothic architecture and Ugolino Trinci in the 15th century commisioned frescoes to Gentile da Fabriano. The old part is the gothic staircase built in 1390-1400 which preserves fragments of frescoes. Another staircase leads up to the public floor where there are the loggia, the chapel, the liberal arts room, and the giants room. We can continue the tour visiting the Dome with its beautiful carved portal and its suggestive crypt. Walking around via Gramsci we can admire a lot of palaces of the Renaissance. 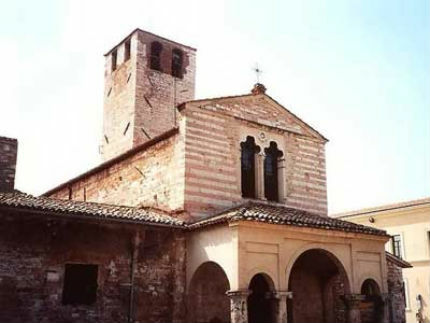 In Piazza San Domenico we can visit the Romanesque church of Santa Maria Infraportas and the auditorium S.Domenico. To conclude we visit the church of S. Francesco which houses the body of Saint Angela da Foligno and the oratoty of Nunziatella with a wonderful fresco of Perugino. The most important festival of the town is the Giostra Quintana a tournament which takes place twice a year in June and in September. Ten horsemen race to get three rings all of different sizes, using a lance. There are three different tournament rounds and the ring becomes smaller and smaller at each round.